She also offers royalty free music available to license now & use in indie games, films & other multimedia projects. Ninichi is a British & Thai composer born & based in the UK. She has a 'gift for melody' and for creating memorable tunes for video games, film & other media. She specialises in video game music but also enjoys creating music for films, TV / web series, commercials and more. Ninichi works with a range of indie game studios including Ravensbard, Smashing Pixels, Owl Sanctuary Studios, Chequered Cow Games & Quinton Studios, as their freelance game music composer. She is also the founder of Ninichi & Xelafish, a London-based music publishers specialising in fantasy sheet music and audio stories. Her music soundtracks have featured in several indie games including Warenel (RPG), Revere (JRPG), Vito Jump'n'roll, Shakey's Escape, Power Pool Slam (coming soon on Nintendo 3DS) & Tank Tank Rush. Ninichi's compositions also help to set the scenes in indie films Dark Delivery, The Waiting Room & Alone at Night (see her full list of credits here). Ninichi studied music at the Royal College of Music (RCM), London and was a founding member of the Royal Thai Music Circle, London. 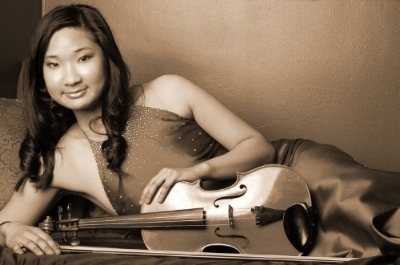 She started the violin at the age of 3, piano at age 4 and the Thai gong circle at age 7.